Debbie Wasserman Schultz stepped down as the chairwoman of the Democratic National Committee amid a leaked emails scandal. 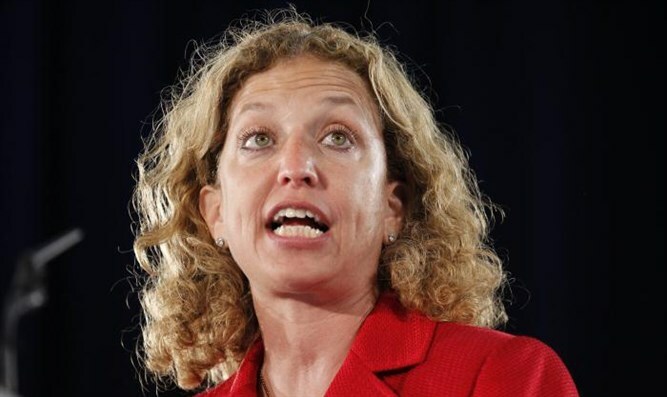 PHILADELPHIA (JTA) -- When Debbie Wasserman Schultz spoke Monday morning to the Florida delegation as the national Democratic convention got underway, some delegates cheered. But the theme of the party in Cannon was unmistakably Jewish. Staff approached guests to reassure them that the pastrami, imported from a deli in Wasserman Schultz’s South Florida district, was kosher. And the walls were lined with headlines touting a triumph that meant more to her than all the titles Pelosi could confer: Wasserman Schultz, in her freshman term, had passed a law – itself extraordinary -- establishing Jewish American Heritage Month.